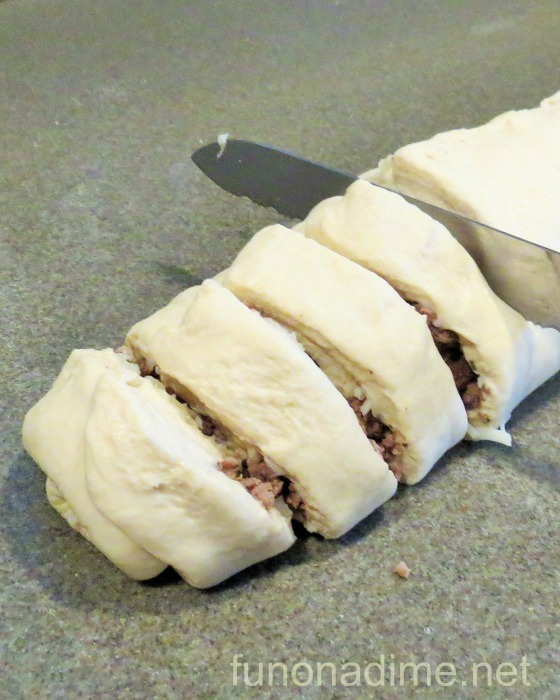 Last month I shared my Easy No Fail Dough Recipe. We use it weekly for homemade pizza’s but it can be used for so many other things I figured I would share them as I made them for all of you. This is probably hands down one of my kids favorite meals. It is great right of the oven dipped in homemade spaghetti sauce or they make a great lunch on the go. My kids like them cold without sauce just as much. 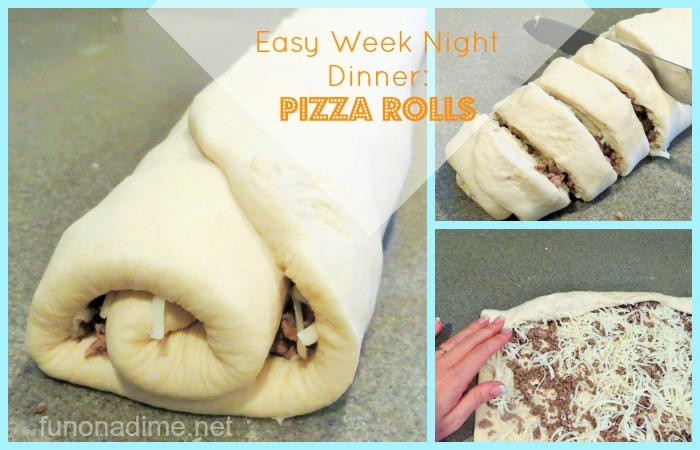 I love versatile recipes! 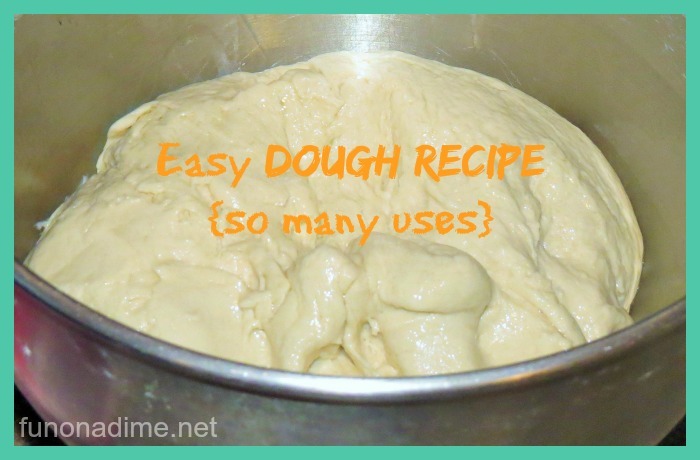 The wait is over here you go…..
First start with the super easy dough I shared HERE! 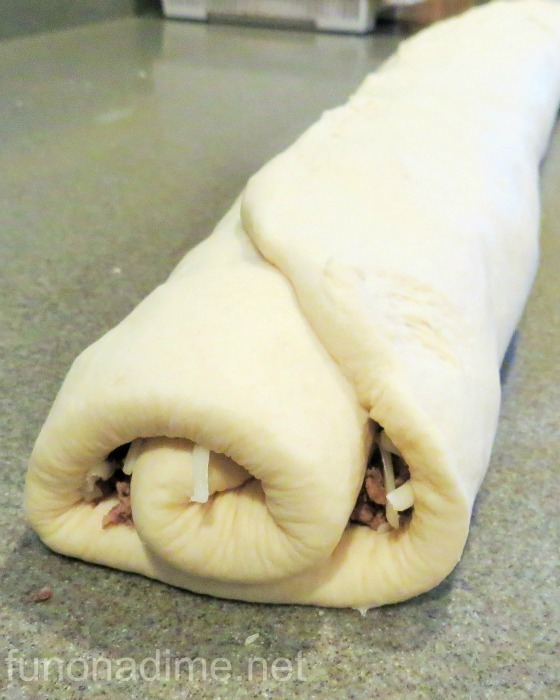 Next Roll the dough out into a large rectangle. 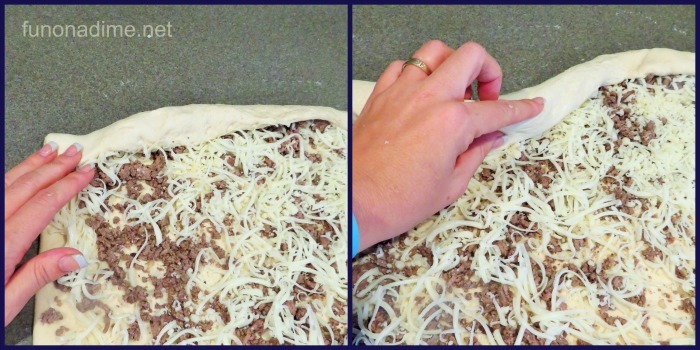 (Approximately 14 X 18) I coat my dough with a little vegetable oil before it rises so I normally don’t have to put anything underneath it to make it not stick but if you are worried about it you can sprinkle a little flour on the counter first. 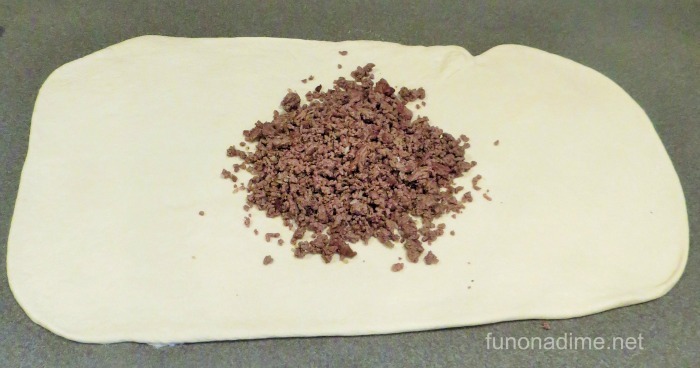 Sprinkle 1 pound of ground hamburger over dough. I like to add a little Italian seasoning to my hamburger to give it some extra flavor. 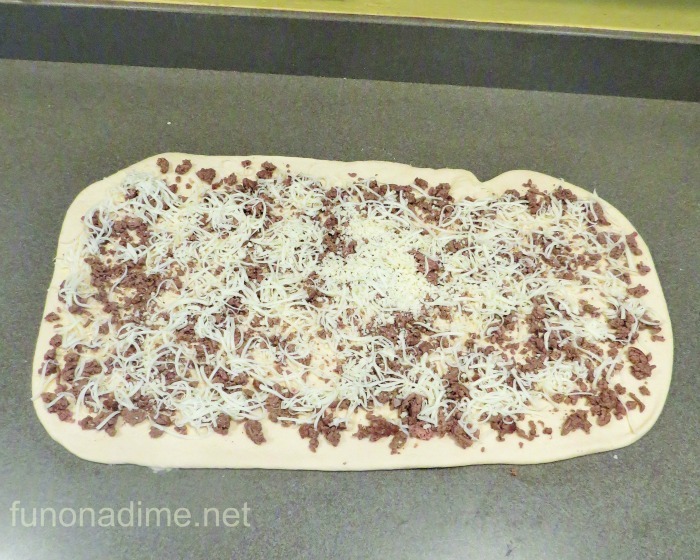 Next sprinkle 2 cups of grated mozzarella cheese over dough. 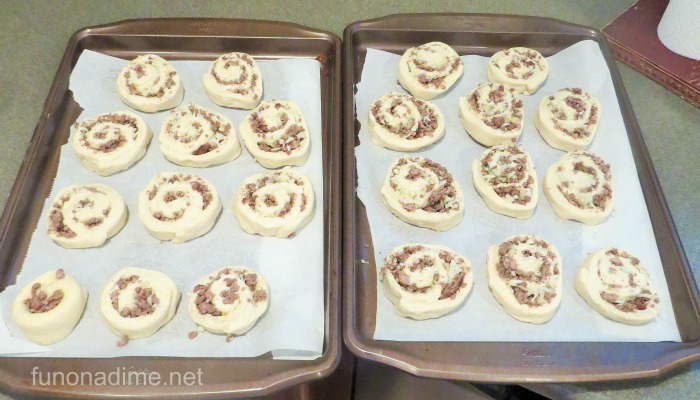 Now roll it like you would a cinnamon roll. I start in one corner and work my way across the dough. Once you have rolled it all up cut 1- 1 1/2 inch pieces the whole length of the roll. I have found a serrated knife works the best. 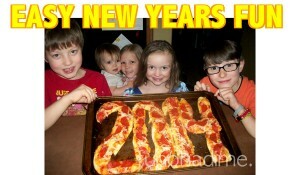 Place on parchment paper or a greased cookie sheet. Cover and let rise 30 minutes. Bake 450 degrees for 20-30 minutes. They will be golden brown on top. I forgot to take a picture of the end result but I promise your family will love them and gobble them up!! Check back soon for my delicious and super easy homemade spaghetti sauce recipe! !